Below is a summary of the results from Pax Christi USA’s (PCUSA) survey undertaken at the end of 2015. A little over 60% of respondents were dues paying members. 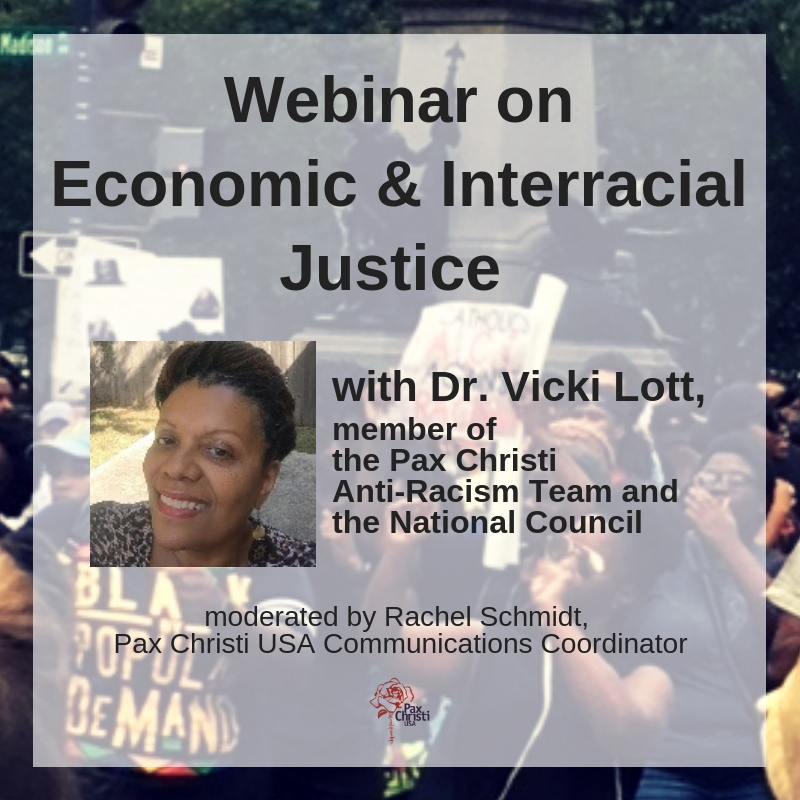 It is good that so many people identify as Pax Christi, whether or not they officially join as members of local groups or PCUSA’s national office, but it would be even better if everyone would join! There is strength in numbers. We need to believe in our strength as a powerful, prophetic, Catholic movement working for peace with justice. If you are not yet a member of PCUSA, join now. Given the spiraling violence and massive suffering of this world, Pax Christi USA needs YOU. It is also clear from this survey that we have to build the Pax Christi movement: BIGGER, BROADER, AND YOUNGER! We need your help do this. It’s good to be an activist and even better to be an organizer. If you are a member, can you bring in five more members this year? This month? Some suggestions follow. Thank you for all you are and do as a witness to nonviolence. Let us go forward together! The survey was sent out to approximately 12,000 possible respondents, including PCUSA members, partners, and other stakeholders. Approximately 6% of those contacted responded. Pax Christi USA needs to become more diverse. In order to do that, we need to branch out even more in solidarity with others’ justice struggles, both at the national level and for PCUSA members locally. Many of you are already working with immigrant led groups, partners on gun violence, the death penalty, and other criminal justice reform issues where people of color are disproportionately affected. We also can be present at major annual events, such as: The Institute of Black Catholic Studies, the Archbishop LYKE Liturgical Conference, the Knights and Ladies of St.Peter Claver Conference for the African-American community, the National Catholic Council for Hispanic Ministry 2016 Annual Meeting, The 9th Annual Catholic Association of Latino Leaders (CALL) Conference, and locally, for the diocesan gatherings of these communities exhibit tables with PCUSA membership information is another suggestion. PCUSA needs to increase the involvement of young adults (18-30). 83% of survey respondents support asking college peace & justice groups to join and 71% of respondents support scheduling campus visits to discuss PCUSA and non-violence. Locally, this might mean finding faculty to serve as anchors for student Pax Christi groups. Giving “gift memberships” to younger relatives graduating, or as birthday gifts is another way of inviting our young adults. These percentages reflect the fact the women are playing a critical role in Catholic peacemaking and social justice both in the U.S. and worldwide. It is important for PCUSA not only to continue promoting strategies that include the voices of women but also to work to elevate the profile of women’s participation in the Church and in peacemaking throughout the world. At the same time, PCUSA should move towards greater male participation through outreach efforts that would include improved communications and relationships with the U.S. Conference of Catholic Bishops (USCCB) and its members as well as with local clergy, including deacons. At your local level, consider organizing a meeting with your bishops and priests councils and invite local members who are community leaders, teachers, religious congregational members to go in with you. Give your bishop a one year “gift membership” to PCUSA. A strong suggestion was that PCUSA should draft a position paper to the USCCB to move our Church to being a Just Peace Church: 78% strongly agree, 10% somewhat agree, and 2% strongly disagree. We actually have taken steps in this direction, particularly through our membership in Pax Christi International (PCI). See the statement which came out of a recent conference co-sponsored by PCI and the Pontifical Council for Justice and Peace. 60.1% are dues-paying members, 33.7% are interested in re-activating membership, 39.1% are active in a local PCUSA group. The top three ways members keep up to date on PCUSA are email, The Peace Current, and the PCUSA website; only 17.6% use social media. 61% ask parishes to endorse PCUSA as a Catholic peace organization and 59% ask dioceses to endorse PCUSA as a Catholic peace organization. The PCUSA resource tools members use to stay up to date on PCUSA: 57% receive/read the Peace Current; 82% receive action alerts via email and 43% get information from the PCUSA website.